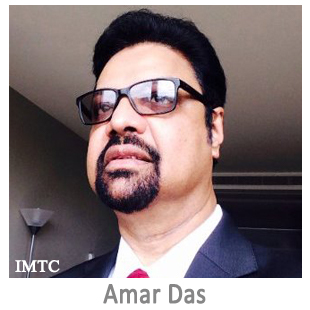 Amar is the Managing Director of International Sales for Sigue Global Services, based out of London. He leads and manages a huge network of sales agent locations and the related payment infrastructure spanning across four continents. Sigue Group is in the top four Money Transfer services in the Americas and one of the top MT players globally. A veteran of over 20 years in the International Money Transfer industry, Amar has the unique achievement of laying the foundation of the industry in South Asia, Middle East and India as the first Region Head of Western UnionThe Western Union Company is a US financial services company with headquarters in Englewood, Colorado with offices and agents all over the world offering services such as money transfers (P2P, P2B and B2B, money orders, and other business & commercial services. With close to 12,000 employees, more than 500,000 agent locations in over 200 countries and territories, Western Union is... want more? for the region during mid-nineties. Under his initiative, 17 countries of the region introduced the agent based ‘instant cash transfer’ service. The region now has grown into the premier money transfer destination of the world. Amar was also involved with major start-up ventures focused on remittances, like Nexxar / Omnex and MoneyDart Global Services in the US where he helped develop their business from conception and planning to implementation stage. All these companies are now operating as successful business entities in the North America corridor.